Situated on the waterfront of Victoria Harbour and opposite the Royal Hong Kong Yacht Club and Noonday Gun, The Excelsior is conveniently located in the heart of the entertainment, shopping and commercial district of Hong Kong Island. The 34-storey hotel officially opened on 20 February 1973 as Hong Kong’s largest hotel. The historical site was the first plot of land in Hong Kong to be sold by public auction in 1841 when Hong Kong officially became a British Colony. Today, it is still registered as Lot. No 1. The largest hotel on Hong Kong Island, The Excelsior features 869 guest rooms and suites. 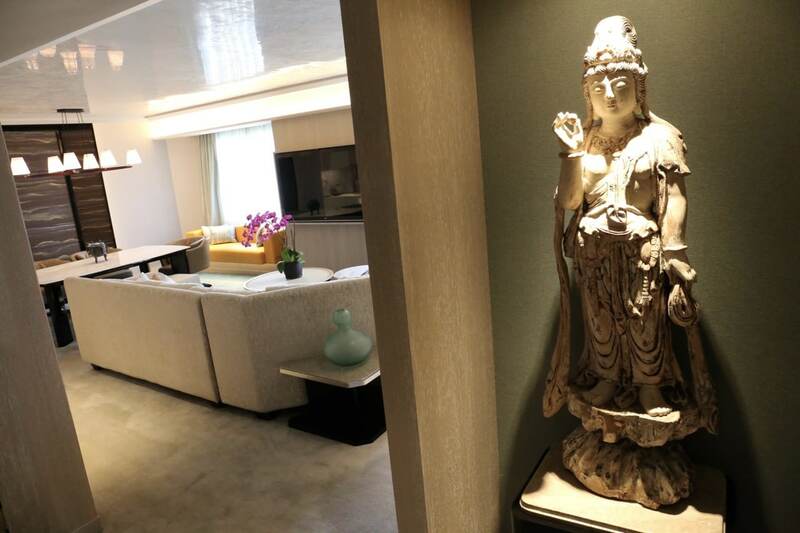 The Excelsior Suite, located on the 20th floor occupies 1,379 square feet making it a perfect residence for discerning guests seeking a posh pad when holidaying in Hong Kong. The spacious living area is complemented by spectacular views over Victoria Harbour and the Kowloon Peninsula with a separate dining area. Guests find comfort in the well-appointed bedroom with special features including a fully marbled bathroom with Jacuzzi and stocked bar. If you’re looking to eat your way through The Excelsior be sure to wake up to the world each morning at the hotel’s iconic Cafe on the 1st. 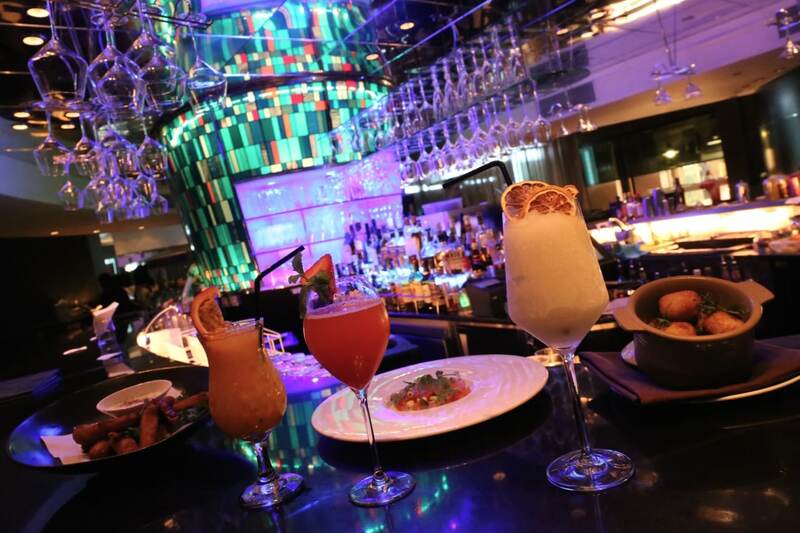 The all day dining restaurant is both modern and chic with a naturally lit interior complimented by vivid abstract paintings of Richard Allen, Australia’s “King of Colour.” Large windows sweep across the restaurant’s front offering breathtaking views of Kowloon. 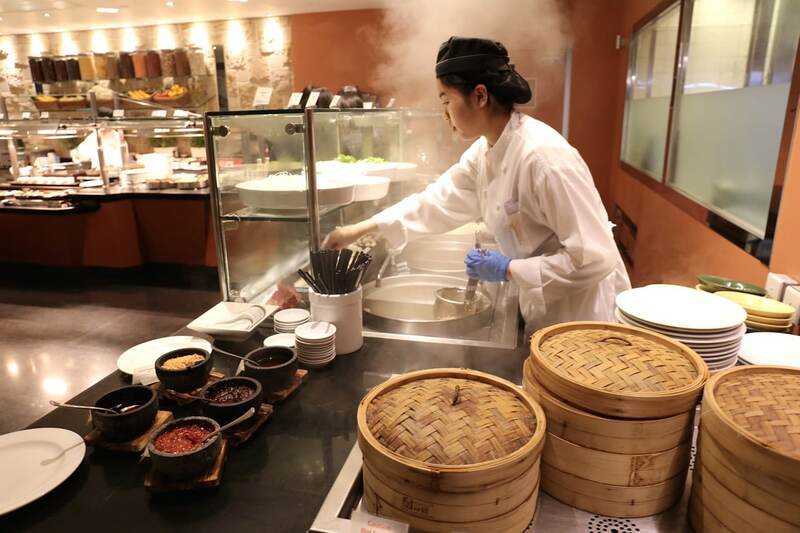 Cafe on the 1st epic brunch buffet features a perfect mix of East meets West with highlights including steaming dim sum station, DIY noodle bar, Hong Kong classics (congee, fried noodles, BBQ), salad bar, cheese and charcuterie and sweet morning must-haves berry topped waffles and chocolate slathered pancakes. Locals in Hong Kong certainly have a brilliant way of celebrating the midday meal. 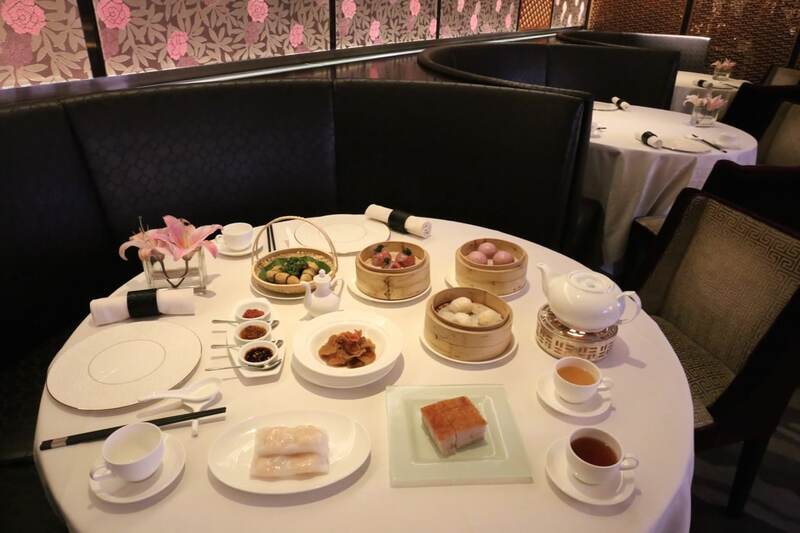 If you’re keen to chopstick your way through pretty handmade dim sum visit The Excelsior’s signature Cantonese restaurant Yee Tung Heen. The entrance features a dramatic and contemporary artistic bamboo pattern in red and black, while the interior’s floral-patterned partitions can be used to divide up the floor space, creating five separate private dining rooms from the main dining hall. An elegant tea counter enables guests to choose from a range of premium tea specially selected from across China. Highlights from Yee Tung Heen’s whimsical Cantonese menu include steamed kale dumplings with beetroot, baked lotus root puff and umami forward duo of mushrooms. If you’re a nighthawk looking to sip and nibble into the wee hours head up to the hotels 34th floor and hop up at the bar at TTOT’s and Rooftop Terrace. Locals love TTOT’s (talk of the town) for its iconic sky-high patio and killer cocktails. The bars multi-colour stained glass column adds sparkle and glamour to the bustling space, a perfect perch for people watching while sipping through a trilogy of tipples. If keen on a thirst quench order the bar’s signature ToTT’s-ling featuring champagne muddled with vodka, maraschino, cointreau, raspberry, ginger and lemon. Your best bet for midnight munchies are the finger-licking-good Southern fried confit chicken wings with pickled cucumber and ranch dressing or if more refined edible art is your thing spoon through the Miso cured salmon with cauliflower cream, grapefruit and smoked jelly. « Are You Summer Cycle Ready?